I got a call from my wife while I was at work yesterday: There was a problem with our primary home PC, which runs Windows 7. As the machine was booting, after the BIOS data appeared followed by the graphical Windows 7 “loading” logo on the primary monitor, the primary monitor went into sleep mode (as though it had been unplugged from the PC). By moving the mouse around, the mouse cursor was visible on the secondary monitor, but clicking it (including right-click) didn't do anything. Getting home, I saw the problem for myself. I concluded that the Windows logon screen was being displayed on the primary monitor -- I just couldn't see it because the primary monitor was off. I was able to log onto the machine blind (by arrowing over to my user profile, hitting Enter to activate it, keying in my password, and hitting enter again to log in). Once in to Windows, I was able to make my secondary monitor become the primary monitor, via right-click on the desktop, selecting Screen Resolution from the Right-click menu, “rescuing” the Screen Resolution window from the sleeping primary monitor onto the secondary monitor to make it visible, then checking the “Make this my main display” checkbox on the secondary monitor. Verify both ends of the monitor cable were firmly seated: It was seated properly. Cold reboot: No change in behavior. Install the latest video driver (for the video card, an NVidia Geforce 6800 GT): No change in behavior. Install the latest monitor driver (for the primary monitor, a ViewSonic VX2035wm connected via DVI): No change in behavior. Uninstall the monitor drivers (and let Windows reinstall them after rebooting): No change in behavior. Restore the system to a restore point from a few days prior (when I know the monitor had been working fine): No change in behavior. Reboot into Windows Safe Mode: This actually did get the logon screen, and then the Windows desktop, to display properly on the primary monitor. I was even able to increase the screen resolution from the safe mode default (1024x768, I think) back to the native resolution of 1680x1050. I was not able to use dual-monitor display, though; the Screen Resolution dialog only detected the primary monitor while in Safe Mode. Rebooting again (back into normal mode) brought me back to square one. Uninstall the video driver (then reboot): After rebooting, the behavior was similar to safe mode; the primary monitor worked, but not the secondary. Upon reinstalling the NVidia video driver and rebooting once more, it was again back to square one. Reseat the video card (with the PC powered off, then boot back up): No change in behavior. Unplug the secondary monitor (leaving only the primary monitor plugged in) (then reboot): This didn’t help. I still got, after rebooting, the BIOS information visible, the graphical Windows 7 logo visible, then blank screen / sleeping monitor. Swap the ports that the two monitors’ DVI cables were plugged into, then reboot: This actually caused me not to get anything display on either monitor. I changed it back afterward. Check BIOS settings: I didn’t notice anything unusual, or any settings that I could change that might be likely to fix the problem. I ended up leaving everything alone. 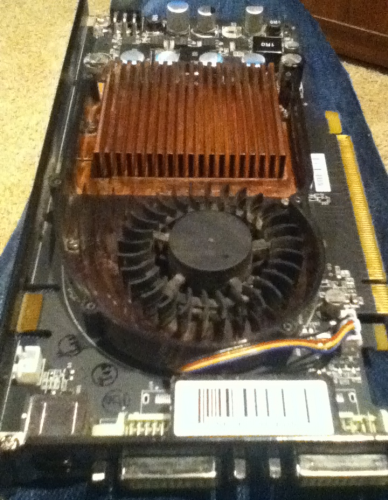 Finally, after all that, I hit upon a good solution: I replaced the video card. Specifically, (after powering both machines down and unplugging them, of course), I pulled the GeForce 6800 GT from my primary machine and set it aside; then, I pulled the GeForce GT 430 from my HTPC (leaving that PC with just the motherboard’s onboard audio/video), and installed that card in my primary PC; then I booted the primary PC back up. After doing that, and letting Windows install the NVidia display driver, both monitors came up with no problem. So even though I had been pretty convinced initially that I was looking at a software problem, probably a driver problem of some kind (given that the primary monitor worked fine at boot time, and even displayed the graphical windows logo, and also worked fine in Safe Mode), the problem apparently was that my GeForce 6800 GT decided to (partially) fail on me. It was actually my lovely wife that made the astute observation that the fact that I had been fairly recently running that card at a scorching hot 100+ degrees C probably hadn’t helped matters! Note that I don’t recommend that anyone else who encounters this issue (and comes across this blog post via a search) run out and spend $$$ to replace your video card as your first option. In researching this issue online during the course of the troubleshooting, I did run across some reports from others of this same problem (screen goes blank after displaying the Windows logo during boot) who were able to solve their issue by doing one of the other steps that I tried, such as uninstalling and reinstalling video drivers. For the time being, I’m in good shape with my workaround. The lower-end but newer GeForce GT 430 is actually almost as good a video card as the original 6800 GT; and the HTPC can play TV and movies fine with the onboard video. I guess this gives me something to put on my birthday list for my birthday coming up later this year! At work, I recently had the chance to upgrade to a new development laptop PC, a Thinkpad T520 running Windows 7. The machine is excellent, with one weird exception: In Firefox (and only in Firefox), when keying in text into a text entry field in a web page or into the browser address bar, the caret (i.e. the text entry cursor) would sometimes appear to be “distorted” or “corrupted” – that is, some “garbage” pixels would appear around the caret whenever I moved it (either by typing in a character, or by using the arrow keys). The problem is hard to explain, so here’s a screen capture of a particularly severe example that occurred when I was entering text into a textarea. The caret in this cropped screen shot is between the “2” and “5” in “8/25/2011”; note all the other weird stray black and white marks in the text. (I added the red oval to the screen capture to show the area in which the “corruption” was appearing. After waiting a little less than a second without moving the caret, the problem would go away – the “corruption” would disappear from the display. However, the problem would come right back upon moving the caret again. The caret itself would also sometimes not appear until the “corruption” went away, which made text editing surprisingly difficult – a frustrating problem. The problem would only occur in Firefox, not in other browsers such as Internet Explorer 9, or in any other applications I tried (such as Eclipse, Word, and Notepad). Experimenting, I found that the problem would not occur when Firefox was started in Safe Mode (via Firefox menu | Help menu | Restart with Add-ons Disabled). However, I tried running Firefox in normal mode with all extensions and add-ons manually disabled, and that didn’t help. I tried setting up a new Firefox user profile, and that didn’t help either. Note that in the former image (Firefox normal mode), the “f” glyphs do not appear the same as one another and have some faint red/yellow/blue/green aliasing (blurring), whereas in the latter screen capture (Firefox safe mode) each “f” glyph is identical and has no aliasing (look at the unzoomed image). At this point I was suspicious of some kind of issue with my video card. The normal first course of action with a suspected video card behavior issue would be to update video card drivers. When I checked, though, I found that I was already running the latest drivers for my video card (an NVidia NVS 4200M). Google was initially no help; all the searches that I tried for terms like “firefox cursor corruption” or “firefox caret appearance” resulted in pages talking about the Firefox caret navigation feature (F7 key), which was not the issue here. I hit upon the solution when I changed angles of attack and Googled for “firefox safe mode”. The first result was a Firefox help article describing safe mode, which linked to a Mozillazine knowledge base article with more details on Firefox safe mode. That article in turn had a list of about a dozen bug repots related to safe mode, one of which was Bug 591139 - Disable hardware acceleration in safe mode. Aha – that sounded like a video-related issue! Reading through that ticket, I learned that starting in Firefox 4, a feature called “hardware acceleration” (with which I was previously unfamiliar) is disabled when Firefox is in safe mode. Hitting up Google once more, this time for “firefox disable hardware acceleration,” I was led to a setting in the Firefox options menu: Firefox menu | Options | Advanced | General tab | Use hardware acceleration when available. I unchecked that setting, restarted Firefox, and that did it – the problems with the caret corruption/garbage and the malformed character glyphs no longer occurred! So apparently Firefox has an on-by-default feature where it uses hardware acceleration, presumably from the local PC’s video card, further presumably to improve its performance and/or ease load on the primary CPU. However, having disabled this setting, I haven’t noticed any appreciable difference in performance. I don’t know who is to blame for this issue – bad video driver, bad video hardware, Firefox itself, some combination of those, or something else entirely – but for the time being, I’m just satisfied that the issue is resolved for me! I hope this saves some frustration and/or troubleshooting time for anyone else experiencing this odd issue! Earlier this week, I started having an unpleasant problem with my PC: While playing a game, both monitors connected to my PC would go black (as though the PC had powered off), and the system became unresponsive (the Num Lock light would no longer turn on and off when hitting the Num Lock key). However, the music the game was playing would keep playing -- indicating that the PC hadn’t totally hung or shut down. Opening the PC case, I noticed that my video card was very hot to the touch. I posted the problem to SuperUser.com and got a helpful reply from user “Mokubai” confirming that the problem was indeed likely due to a GPU overheat, as well as a link to a very helpful free utility, GPU-Z, which (among other features) provides real-time reporting of the current GPU temperature. I downloaded and ran GPU-Z. It reported that the video card temperature with my PC just sitting idle at the Windows desktop was 83 degrees C (hot!). I put GPU-Z on my secondary monitor and fired up Torchlight (a 3D game) in the primary window; after playing for just a few minutes, GPU-Z reported that my video card was up to a maximum temperature of 101 degrees C (extremely hot! ), with the card’s fan running at 100% speed. Clearly the GPU temperature was almost certainly to blame for the problem of my monitors losing signal and the PC hanging. Tonight, I had some time to work on the problem, so I shut down and unplugged the PC and then removed the video card. The card was pretty grimy with dust. I used a small Phillips screwdriver to remove the six screws holding the “cover” onto the card, and then removed the cover itself. Having done that, I could see that there was a lot of dirty material stuck in the narrow grooves of the heatsink, which was likely obstructing the air flow through the heatsink and preventing the card’s fan from cooling off the heatsink, causing the high temperatures. 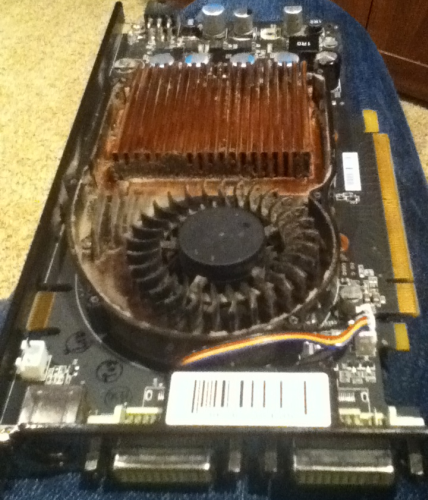 I took a pipe cleaner and cleaned all of the gunk out of the heatsink, the fan blades, and the other parts of the card. Much better! Having thoroughly cleaned the video card, I replaced the cover and the screws, reinstalled the card in my PC, and then powered the PC back on. The result: Much improved temperature readings from GPU-Z! The GPU now idles at the Windows desktop at 61 degrees C, and hit a maximum temperature of 79 degrees C with an average temperature of around 75 degrees C while playing a session of Torchlight. The video card’s fan speed never went above 43% while playing the game, indicating that the card itself didn’t think that it was running too hot. Given that I was originally considering buying a new video card to deal with this problem – a solution that would have run me in the neighborhood of $100 – I’m pretty happy that I was able to fix this issue of the monitors going black while gaming “for free” just by taking a few minutes to give the video card a good cleaning. I was recently having an issue on both my home and work machines where I couldn’t log in to my delicious.com (formerly del.icio.us) account via Firefox. After entering my login credentials, I would be redirected back to the page where I was before, but the site would still show me as being an anonymous user, rather than showing me as logged in as expected. If I entered invalid credentials, the login page would give me an “invalid credentials”-type error as normal. I could log into delicious.com ok using other browsers (I tried it in Internet Explorer 9). The fix was to clear all of my delicious.com cookies from Firefox. In Firefox 5, I did this as follows: Tools menu | Options | Privacy | remove individual cookies, selecting all of the delicious.com cookies (I had about 8), and clicking Remove Cookies. After doing this, I could log into delicious.com normally. A minor update to my “on-screen ruler” utility for Windows, Bounds Test, is now available. This update fixes a bug where the drag-to-move and drag-edge-to-resize mouse functions did not work when the cursor was positioned over the “Widescreen Resolutions” text label. Download it here: Bounds Test v2.1.2 (16k). It’s also available on my Windows utilities page. 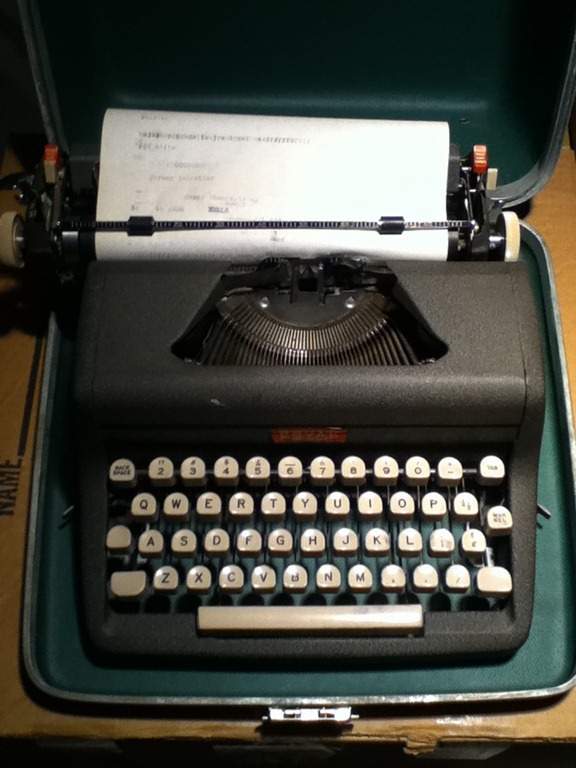 I just posted a small update to my ccc (“Clipboard Character Count”) utility. In this update, ccc now looks for HTML table data present on the clipboard (i.e. content copied to the clipboard from a table on a web page); if present, ccc additionally reports the number of rows present in the copied portion of the table (based on the count of <tr> tags present in the copied data). This is a slightly faster way to get a count of the number of rows in an HTML table than pasting the content into a fresh Excel sheet and looking at the row number of the bottom row of data. Share and Enjoy: ccc 1.0.2 (4k). You can also get it on my Windows utilities page. C:\. As I prefer using the keyboard to the mouse for quick and easy tasks, the ideal location for this folder is directly off the root directory of the C: drive. It’s pretty easy to type, for example, “c:\proj\todo.txt” into an application’s Open dialog, or from the command prompt. I can do that more quickly than switching to the mouse, clicking “My Computer”, double-clicking “C:”, double-clicking the “proj” folder, scrolling “todo.txt” into view, and then double-clicking on that file. My Documents. My office’s automated backup policy only picks up documents that are located under the “My Documents” folder. While I could locate my “proj” folder under My Documents rather than under the C:\ root directory, typing “c:\documents and settings\jschneid\my documents\proj” 30 times a day rather than just “c:\proj” obviously becomes very inefficient very quickly. So, to summarize the problem: I want my use-it-all-the-time “proj” folder to be at “c:\proj”, but I needed it to be under “My Documents” in order for it to be picked up by my office’s backup scheme. The solution: The Junction utility, part of Microsoft’s Sysinternals suite of tools. The Junction utility allows the creation of a folder at a particular location in the filesystem which is really a symbolic link (shortcut) to another folder, which the command prompt and Windows Explorer respect. In my case, I created my “proj” folder under My Documents (so it would be picked up by my office’s backup process). Then, I used Junction to create a symbolic link to that folder at “c:\proj” for easy access to that folder via the keyboard. This solution has worked out great for me. I type “c:\proj” many times every day – saving a couple of seconds over using the mouse to access that folder every time. I wanted to share this tip for anyone else out there who might be able to benefit from having an easy-to-access shortcut to a deeply-nested folder on their filesystem – and for those that might not have been aware that it’s possible to set up Unix-style folder symbolic links on Windows. Announcing: Unified Theory of Software Defects! 1. Somewhere, there was a 0 where there should have been a 1. 2. Somewhere, there was a 1 where there should have been a 0. Yes, that's right... every software defect that has ever occurred can be traced to some combination of these two fundamental causes! Astonishingly simple. Marvelously elegant. Adjust the software such that all 0s and 1s are properly placed. I fully expect this discovery to revolutionize the craft and profession of software engineering. No, no need to thank me; I’m just glad to have the opportunity to give back to the community in this small way. An update to my “on-screen ruler” utility for Windows, Bounds Test, is now available. Download it here: Bounds Test v2.1.1 (16k). It’s also available on my Windows utilities page. A new point release of my “on-screen ruler” utility for Windows, Bounds Test, is now available. Quickly get a rough idea of the size in pixels of another window or other on-screen object. Added an “Always On Top” feature (accessible from the right-click context menu). Added a set of size preset buttons for widescreen resolutions. Improved the draw algorithm, greatly reducing "flicker" of the tick marks along the edges as the window is being resized. Increased the “drag area” of the edges of the form, making the form easier to resize. Download it here: Bounds Test 2.1.0 (16k). You can also always get the latest copy from my utilities page. Enjoy! With this setting, JBoss will automatically resume startup when it detects that a debugger (e.g. Eclipse) has been attached. This is useful to be able to debug things that occur while JBoss is starting up.